Come on down and let us show you the Caribbean. Our Caribbean Islands boast some of the most stunning beaches in the world - but we know we're way more than sand and sea. We know our islands intimately and are ready to let you in on all the secrets that paradise has to offer with our own hand-picked adventures. 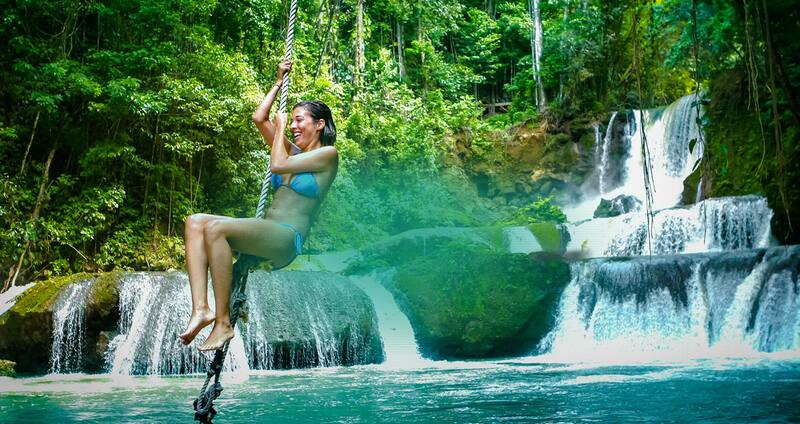 From deep-sea fishing and dolphin encounters, to catamaran sails, canopy tours and biking through Jamaica's Majestic Blue Mountains, we can't wait to show you the real Caribbean, far from the beaten path, endlessly exhilarating and always spectacular. Buckle up and take the wheel of our very own MINI cooper during this unique experience that will have you driving along the island's most scenic routes. Important Notice: The tours and excursions listed in this page are owned and operated by independent contractors (third-parties) which are not associated with Beaches Resorts. Beaches Resorts does not own, operate or control the tours and is not responsible for the acts or omissions of the owners/operators or for any injury, loss or damages that may result from participation in the tours, which is done at your own risk. Tour prices listed can be changed at any time without notice. Tours are optional & not included.